Here’s a special series from A TALE OF TWO DANS, another movie nerd site I run with my fellow companion in cinema also named Dan a.k.a. The Millenial. Over at 2D, we analyze movies from two different generational points of view: Gen X (80s) vs Millenial (2000s). 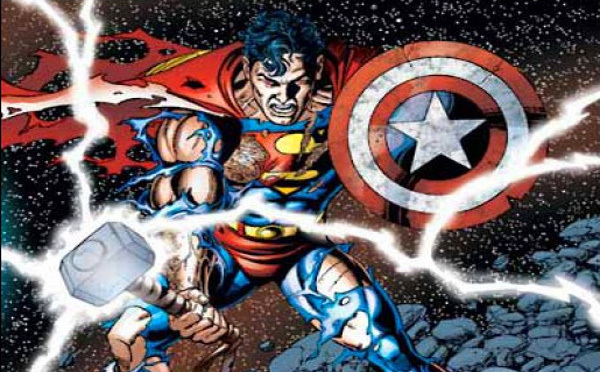 We’ve been breaking down the MARVEL VS DC with a multi-part debate over the past few months. Jump on over there to read this article in its full geeky glory. Have a taste… AVENGERS vs JUSTIC LEAGUE. ‘Nuff said. The TWO DANS proudly present a debate for the ages, continuing our multi-part saga of Marvel vs DC. Which superhero team is better, the Avengers or the Justice League? Gen X Says… BAM! BIFF! POW! Movie nerds are about to get into fistfights. The usual pit fighter nerd mentality normally reserved for the back of dusty comic book shops is about to go mainstream. Giant blockbusters are coming soon, pitting Marvel vs DC. 2017 will see the release of the first JUSTICE LEAGUE movie. The next year will see part one of the next AVENGERS. For the first time, both comic book giants will have superhero teams duking it out at the box office. Holland, the new Spidey. Will he join the next AVENGERS movie too? Marvel has a far larger cinematic universe, spanning across the Sony SPIDER-MAN films, and Fox’s franchises like X-MEN and FANTASTIC FOUR, along with solo heroes like the new DEADPOOL and GAMBIT, as well as the old BLADE and GHOST RIDER movies. DC is the grand-daddy on the block. They were the first to the party. While Marvel was pumping out straight to video stinkers like the early CAPTAIN AMERICA and PUNISHER (with Dolph Lundgren), DC had already enjoyed the gigantic success of SUPERMAN, followed up by the mega-blockbuster BATMAN films from Tim Burton. Marvel’s had the upperhand recently, with a string of 12 box office hits. However, DC’s playing catch up real quick. Before the JUSTICE LEAGUE hits movie nerds will be treated to SUICIDE SQUAD and BATMAN v SUPERMAN. Before we get into the superhero team rosters of the Avengers and the Justice League, let’s see what Millenial has to say as he stages the universe and sets up the Two Dans battlefield. I hope you enjoy the show. 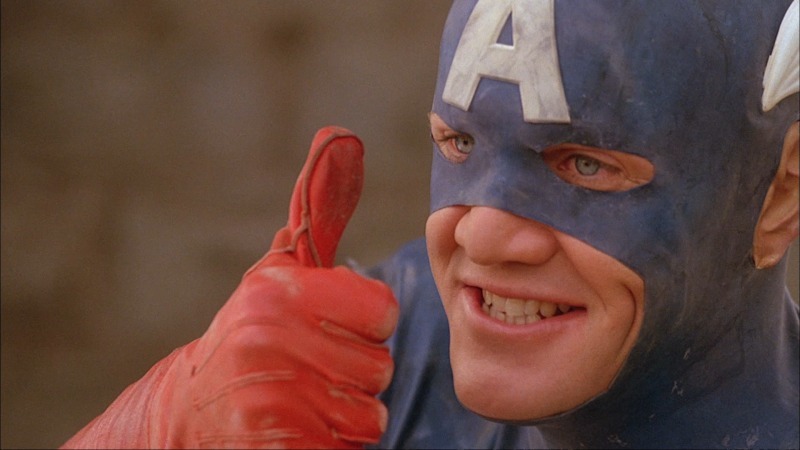 We get into plot theories and talk rosters about these upcoming comic book blockbusters. Slip on over and read the 2D article. Posted in movies, newsTagged avengers, batman, black panther, blockbuster, captain america, captain marvel, civil war, comic book, comic book movie, DC, doctor strange, infinity war, iron man, justice league, marvel, marvel vs dc, movies, superhero, superman, upcoming moviesBookmark the permalink. I think Marvel’s going too big. Already the Avengers are out of hand. You can’t enjoy any one of them because they’re all competing for screen time. And I’m definitely burned out on them. I’m burned out on super heroes in general. They’ve already crapped all over Jem.